One and a half weeks ago, Shakhtar beat Oleksandriya in the Ukrainian Cup Round of 16. Now the teams are to meet in the league, being separated by 14 points after 13 rounds. The Pitmen confidently top the league table. Zorya sit in the second spot (with 6 points less and Dynamo in the third (8 points less). 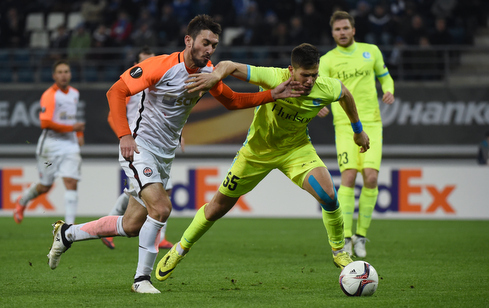 Shakhtar have only two days for recovery from the away Europa League game vs Gent, in which Paulo Fonseca’s team claimed a brilliant win and secured their early advancing to the Round of 32 from the top spot. Oleksandriya have not lost a single league game in six consecutive rounds. Previously, Volodymyr Sharan’s team failed to claim any league points in September, in the away game vs Chornomorets. The Pitmen’s opponents rank fourth in the standings, being one point ahead of Olimpik Donetsk. Two previous games of Oleksandriya ended in a 1-1 home draw vs Dynamo and a 2-2 away draw vs Vorskla. The teams have met in the league 9 times. Shakhtar won all the games with aggregate goal difference of 22-6. Oleksandriya hosted four games. Their goal difference is 9-5. On August 7, 2016, Shakhtar claimed a narrow win at Oleksandriya. Donetsk could take the lead early, when Novak prevented Eduardo from scoring, but the Pitmen still did it on 36 minutes: Ismaily sent a Kovalenko assist right into the corner to make it 1-0. The Pitmen spent the second half enjoying a clear advantage. The two previous league games in Oleksandriya ended 3-2 in favour of Shakhtar. The Pitmen’s goal-scoring run in the league started on August 28, 2015, lasting for 33 games now (95 goals).